Nuventra is proud to announce its participation at the American Society for Clinical Pharmacology & Therapeutics (ASCPT) Annual Meeting and Exposition on March 13 – 16, 2019 in Washington, D.C. Nuventra will have several scientists in attendance including David (Dave) Y. Mitchell, Ph.D., Virginia (Ginny) Schmith, Ph.D. FCP, Jessie Zhou, Ph.D., and Brian Furmanski, Ph.D. The team will exhibit during the conference at Booth #27. Dave Mitchell, Nuventra’s Chief Scientific Officer, will serve as ASCPT’s President beginning in March 2019. Hear from Dr. Mitchell during the session titled, “The Future of Clinical Pharmacology,” featuring a panel of five ASCPT Presidents. The session will be held on Friday March 15th from 3:45 – 5:15 pm. Attendees will have the chance to meet with Dr. Mitchell during the President’s Networking Reception on Thursday Evening at Nuventra’s sponsored craft beer station. “Nuventra is happy to continue our support of ASCPT. We are looking forward to the annual meeting where state-of-the-art programming in clinical pharmacology and translational medicine will address issues that impact drug development,” said Nuventra’s CSO, David Mitchell. 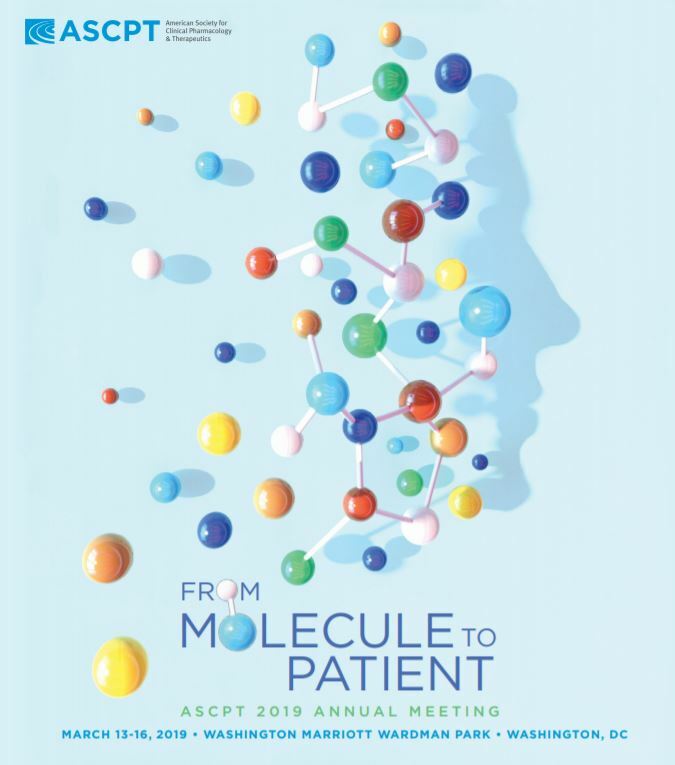 “In addition, we anticipate another great year of ASCPT webinars, and cutting-edge articles in the ASCPT journals, as we strive toward developing safe and effective drugs,” continued Dr. Mitchell. In addition, Ginny Schmith, Vice President of Clinical Pharmacology and Pharmacometrics, will complete her three-year term on the board of directors this year for ASCPT. Dr. Schmith and Dr. Zhou will be presenting two posters this year. They will present “A Pharmacodynamic Markov Mixed-Effects Model for Determining Remimazolam-Induced Sedation when Co-administered with Fentanyl in Procedural Sedation” on Thursday, March 14th, at 5:00 p.m. during Poster Session II. The second poster, “Pharmacokinetic Modeling of Remimazolam, An Ultra-short Acting Agent, With Non-homogenously Mixed Arterial and Venous Samples,” will also be presented at Poster Session II on Thursday.